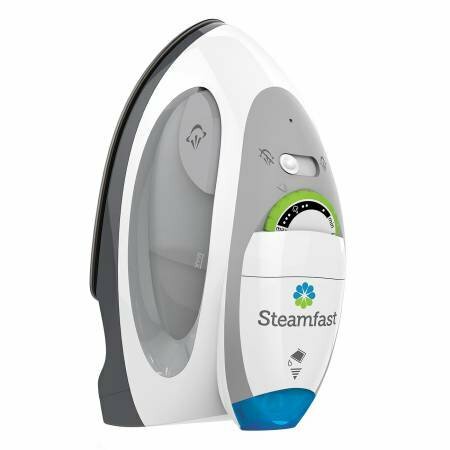 The all new Steamfast SF-750 Travel Steam Iron is convenient for on-the-go ironing. The SF-750 removes wrinkles and smooths delicates. When needed, two steam burst buttons help penetrate deep into heavy fabrics. it's portable for small travel bags and comes with an easy fill measuring cup. Plus there's no waiting with this quick travel steamer, it heats up in just 3 minutes. When traveling abroad change voltage with a flip of the switch. Iron is packed in a plain brown box.